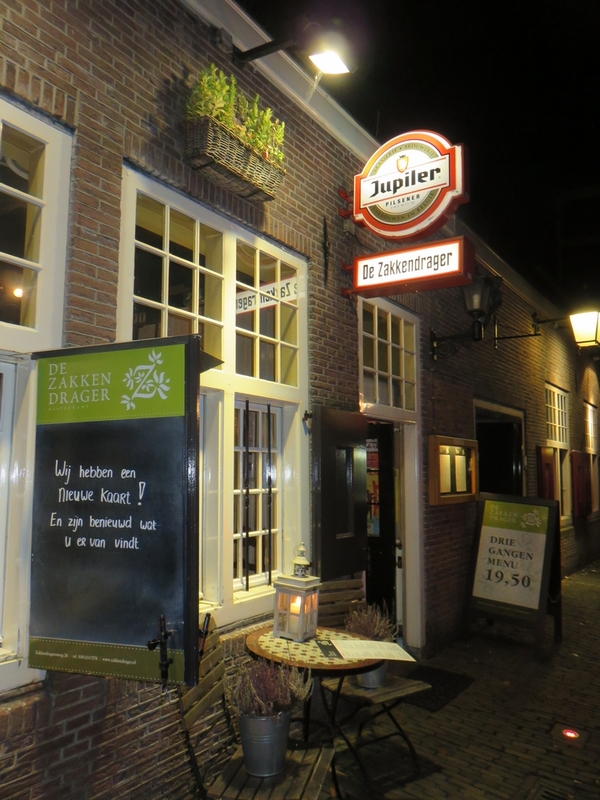 Restaurant review #55 – De Zakkendrager is a traditional style restaurant in the city center of Utrecht (The Netherlands). 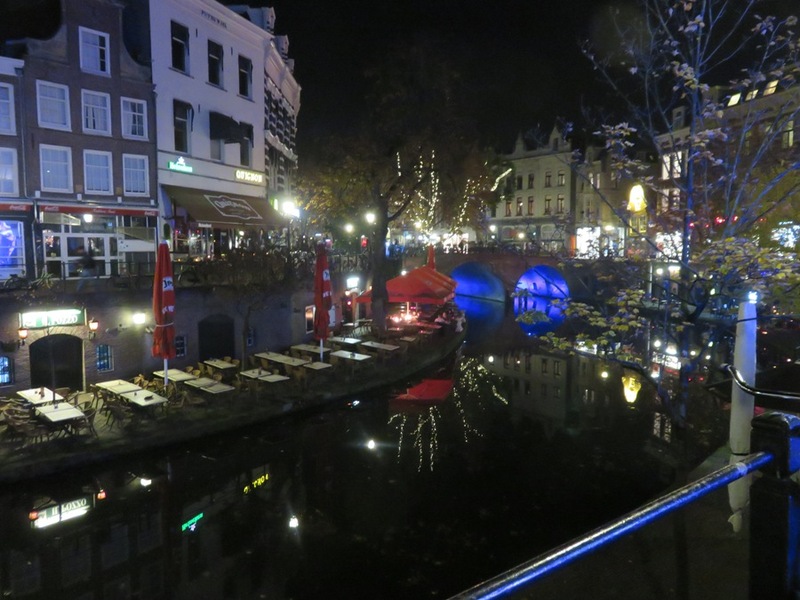 It is just around the corner of the music temple Tivoli/Vredenburg. We were in Utrecht a couple of weeks ago, to visit VegfestNL, a vegan festival (see our review about that here). 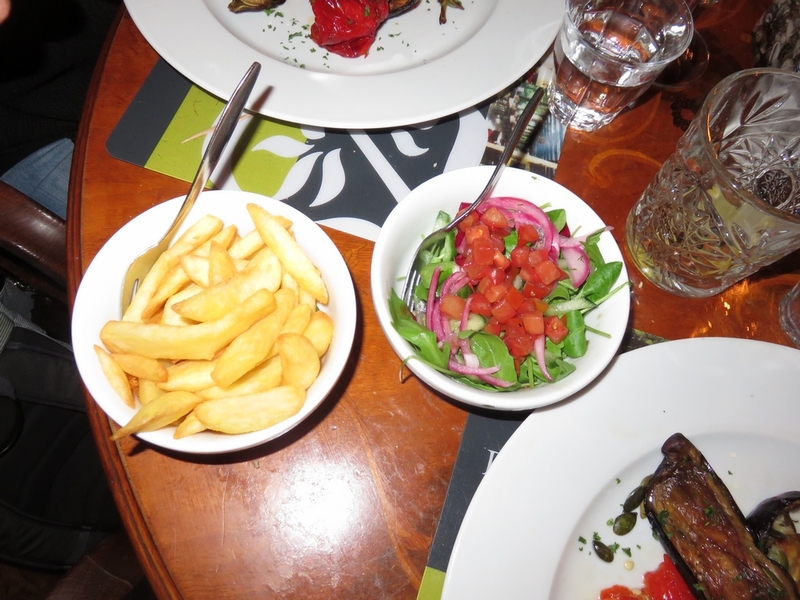 When we looked into the possibilities for dining out in Utrecht, Dutch friends mentionned De zakkendrager, as there are several vegetarian dishes available – veganisable, and they have had a vegan dinner there before. So I inquired beforehand by e-mail whether a vegan menu was possible, and it was no problem. But, we could not make a reservation, as they only accept reservations for parties bigger than five persons. Taking our chances, we went on a Sunday evening, and arrived about 6pm. We were lucky there were still some tables available, and the restaurant soon filled up! 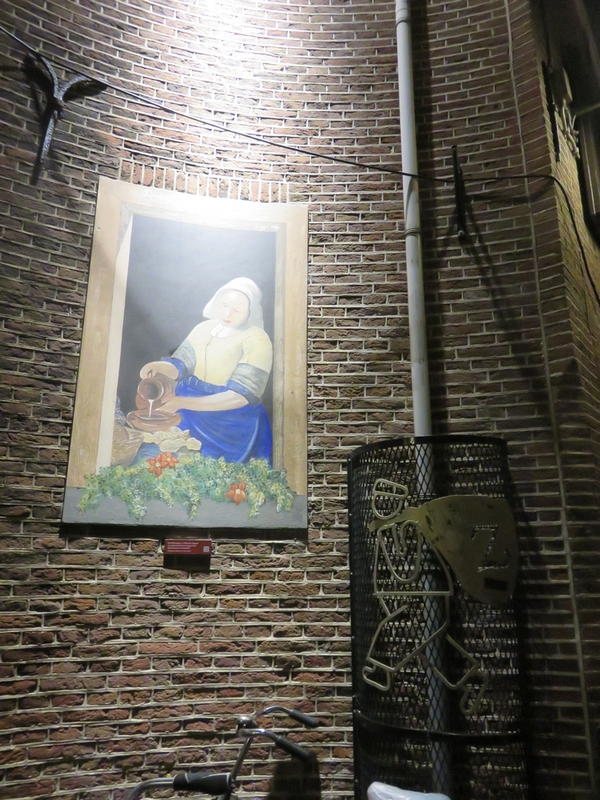 The restaurant is located in a small alley in between the canal and the market, and was a meeting point and café for “zakkendragers” for many centuries. “Zakkendrager” means bag carrier or sack carrier, and refers to the guild of transporters in the Middle Ages. De zakkendragers carried the goods unloaded from the ships at the canal to the market. 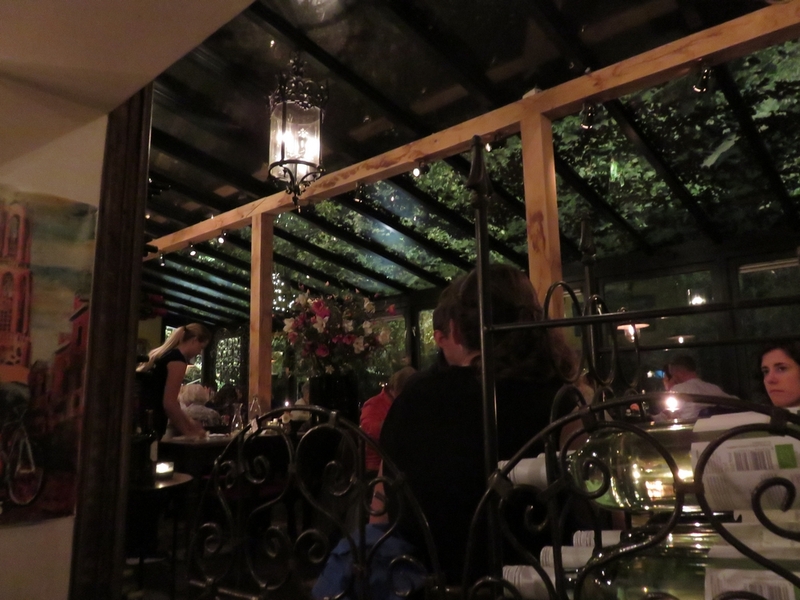 The interior of the restaurant is traditional, and it’s very dark inside. When we received the menu, we said to the waitress that all four of us are vegan (and explained what we don’t eat), and if she could check with the kitchen what was possible. 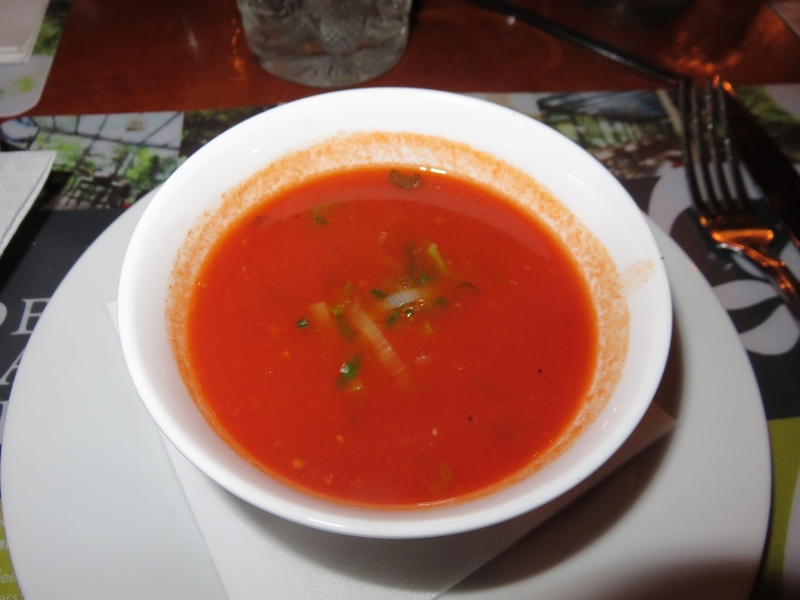 Soon afterwards, another member of staff came to explain us that they could just make a vegan menu and surprise us. He reassured us the kitchen staff understand what vegan entails. 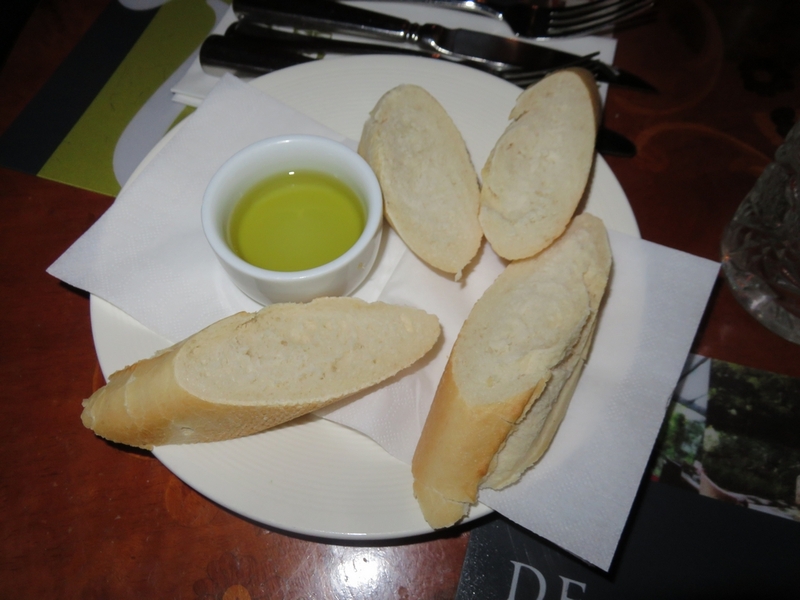 Bread and olive oil (he explicitly noted the bread was not made with milk, but with water). 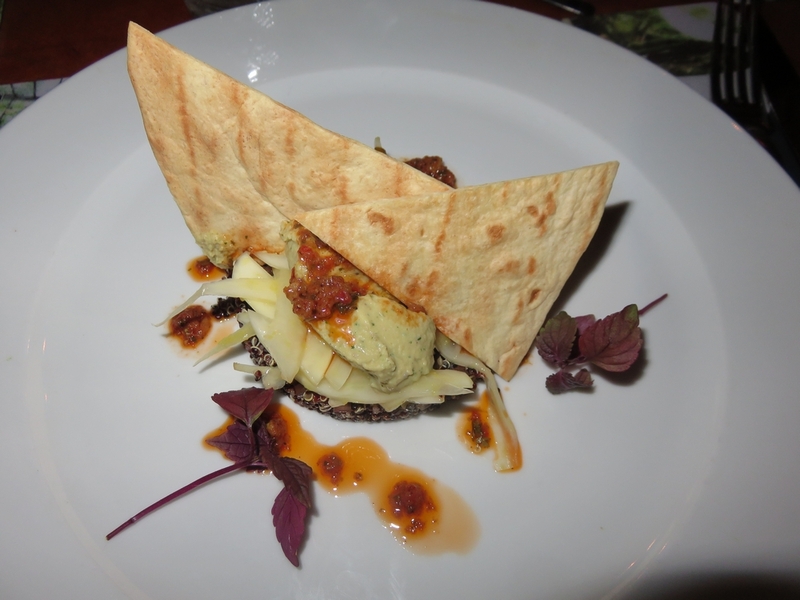 As a starter: hummus, quinoa, fennel, red pesto & crackers. 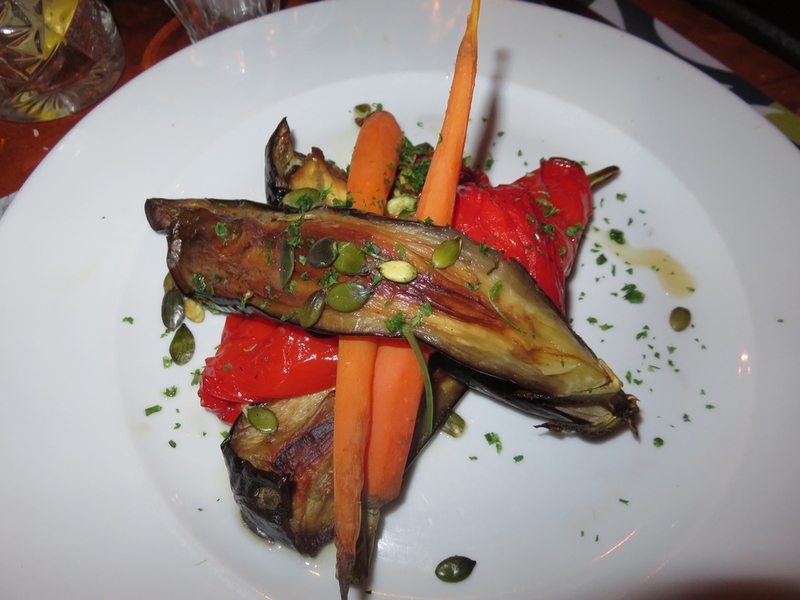 The main dish was eggplant, carrot and sweet peppers (with the seeds) with pumpkin seeds, and potato wedges and a salad with cubed tomatos. The waiter admitted that nearly all desserts contain dairy, and he could only offer us a sorbet, which we declined. We had some coffee 2,25€ and tea (2,25€). This was time for the coffee test! Despite having ordered everything vegan, the coffee came with …; dairy milk on the side (this was certainly not a first, we’ve encountered this in so many restaurants!). And some chocolates (but as we were unsure of the ingredients, we left them). Price per person for all the food (without drinks) was 23€, which we find reasonable. A large bottle of water was 4,95€. The entree started promising (the hummus with quinoa), and the soup was also nice, but the main dish was a bit dispappointing (not really exciting!). Nice though, and all in all reasonable value for money. Friendly staff and comfortable seatings. And when really lucky, even replace those items with something vegan! Lucky you. 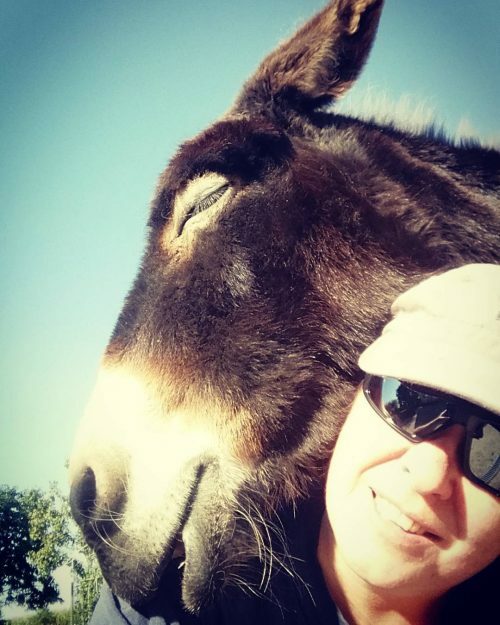 I had lot’s of bad experiences so stopped asking when I’m not sure they can handle it. Result: most of the time I eat veggie when I’m out. Ah, that’s too bad. We choose this restaurant because friends of ours had a vegan dinner there before once, so I was hopeful it would turn out OK.